Fordham University students protested against “white supremacy” Monday, specifically citing an incident in which conservative students tried to buy coffee while wearing MAGA gear. “Fordham’s policies and protection of white supremacy is putting people at risk,” one student shouted into a megaphone, with another claiming that the goal of the protest was to inspire a response from the administration. “We just want to call on the school to directly address that there is a problem of white supremacy on campus, to denounce it, and to hold the people who are propagating this message accountable,” student Reyna Wang told the Ram, while another claimed that she is “literally scared” by the situation. 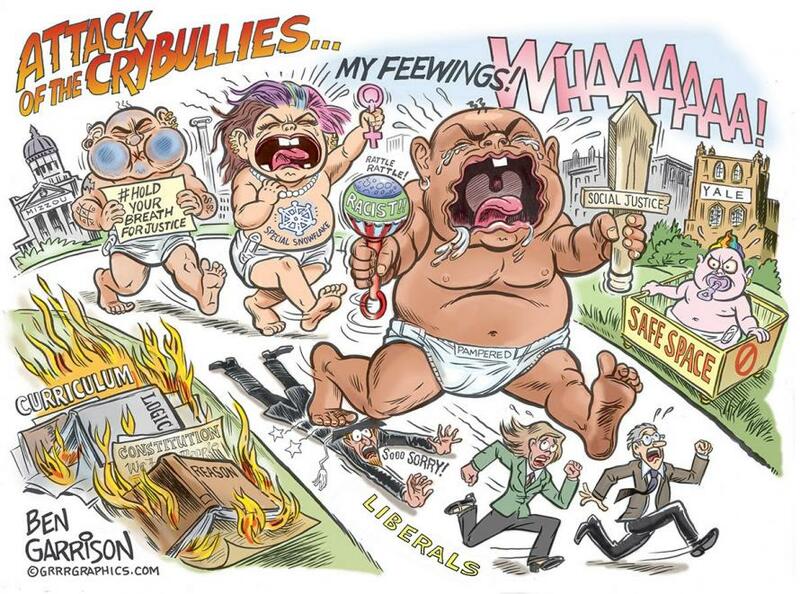 Fordham, notably, sanctioned both the president of the coffee house as well as the student who recorded the encounter, but the FSU protesters were still disappointed in the outcome, saying the College Republicans demonstrated “threatening behavior” by showing up at the coffee shop in MAGA gear and expecting to be served like normal customers. Additionally, the Facebook page points to a a student’s social media post featuring the “flag of Kekistan,” an alt-right symbol, as further evidence of the need to protest white supremacy. FSU contends that the alt-right flag, patterned on the Nazi German war ensign, is “a symbol of white nationalism,” but ignored the student paper’s discovery that nine of the 10 students pictured were unaware of what the flag was and what it stood for. 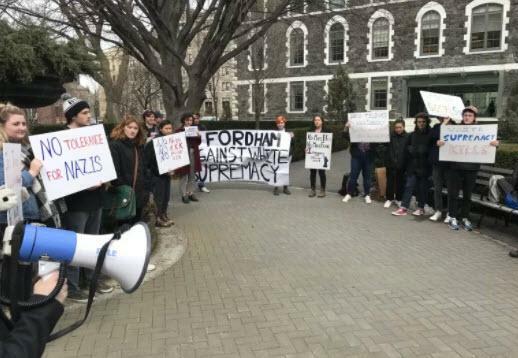 “Fordham's response, or lack thereof, to these events shows that the only free speech Fordham is willing to protect is the violent and racist rhetoric that actively targets and threatens students of color, LGBTQ+ folks, immigrants, Muslims, Jews, and other minority groups,” the Facebook page for the protest concludes.